R-Instat: Using Software to Promote Statistical Literacy. Danny Parsons making a presentation in Tanzania about R-Insat's use in analysing procurement data in a bid to identify corruptions risks. James Musyoka (star of our campaign video) is using R-Instat this semester at Maseno University, Kenya to teach an innovative statistics course to his undergraduate students. 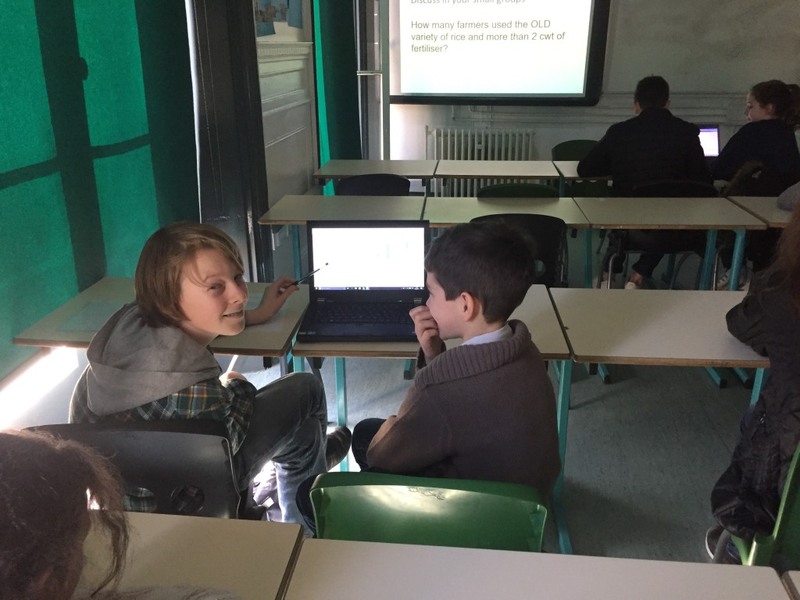 Not only is he making use of R-Instat to give his students practical experience using data, but he's also using e-learning resources, developed by one of our partners, and now adapted for R-Instat, to provide his students access to high quality digital notes, examples and exercises. We look forward to sharing the feedback from James and his students with you at the end of the course. The creator of the corruption risks measurements, Mihaly Fazekas, is using R-Instat in his teaching on an international Masters program in Public Procurement Management at the University of Tor Vergata, Rome, Italy. We're really pleased about this because it shows we are already fulfilling our ambitious of spreading R-Instat outside of Africa! You can read more about this in our blog here. 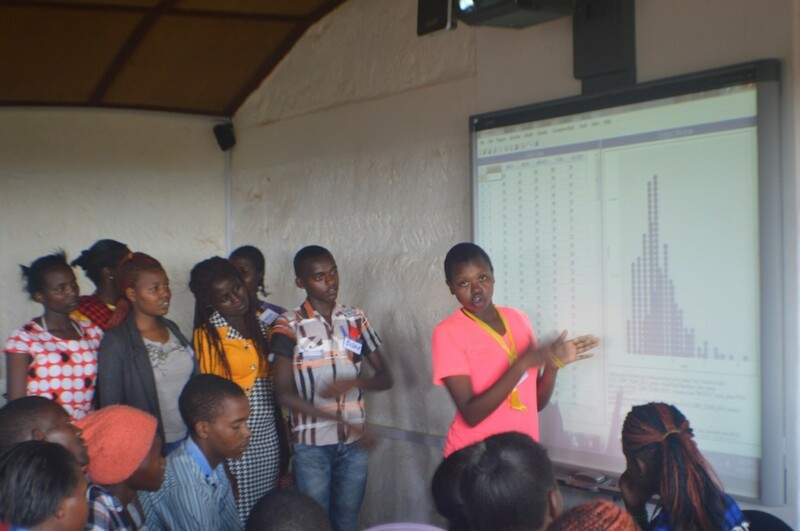 In our recent Maths Camp which was held in April 2017 in partnership with Lewa Wildlife Conservancy, Kenya R-Instat was used to promote a better statistical understanding among high school students from marginalized areas in Northern and Eastern Kenya. Learners engaged with R-Instat by keying in and solving data questions assigned. Early questions were designed to encourage student familiarity with the interface and to reward simple graph reading skills. Students manipulated data that was made available by the conservancy and came up with simple bar graphs, dot plots and histograms displaying different statistical summaries. Grade 8-10 Students in United Kingdom during SAMI London Maths Camp February 2017 explored a large climatic data set from Western Kenya using R-Instat. It's special features and allowed the students to manipulate the data to produce summary statistics and plot graphs. They calculated dates for the start and end of rainy periods, estimating the probability that a crop will grow successfully if planted on a particular date near a particular weather station. Grade 8-10 students using R-nstat to learn more about statistics. 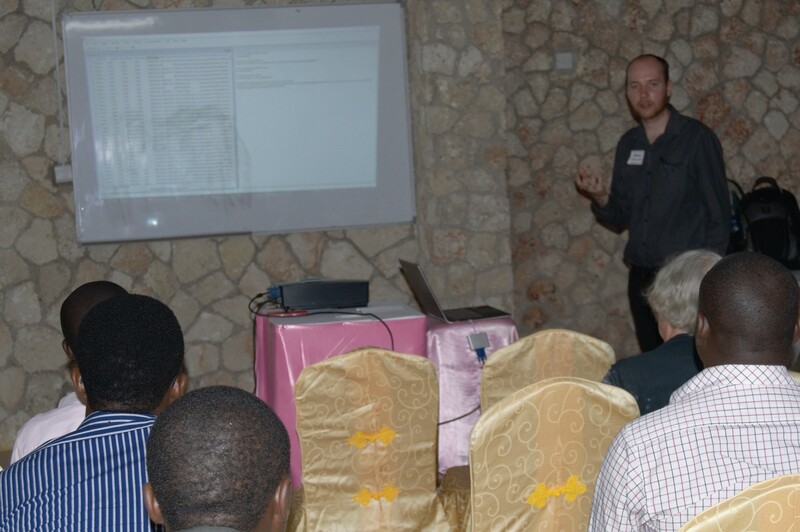 Our partner, Statistics for Sustainable Development, are using R-Instat in some of their projects, including to support agricultural researchers in West Africa who need to manipulate and analyse data from their surveys. This is an exciting step forward as these researchers are one of our original target audiences from our campaign. We continue to work with our partners in AIMS Tanzania, and in March we held a workshop for their Masters students titled Data Driven Approach to Measuring Corruption Risks. Students learnt about the ways in which data are being used to measure and monitor corruption risks in public procurement and they got to use R-Instat's new facilities to analyse real procurement data from the World Bank. You can read more about this in an article by corruption expert Liz David-Barrett.